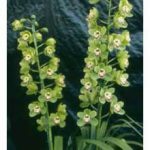 I am now convinced that horse manure, meadow mayonnaise or recycled grass (call it what you will) is the best potting mix for my cymbidiums in northern Tasmania. 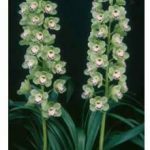 Years ago, when I was given a couple of cymbidium plants that my children bought at a weekend market, I knew nothing at all about orchids. They were kicked around the veranda and seldom watered, and a year later were in a very unhappy state. In desperation I took them to a neighbouring acquaintance, who said that we should re-pot them. Of course I had no potting mix, so my neighbour said “let’s use some of mine – horse manure”. Now, all horse manure is not the same. It may be derived from several different sources, and it’s important to choose the right one. Hungry horses will eat any vegetation they can find, and seldom chew their food thoroughly. Therefore many seeds pass through their gut without being digested. 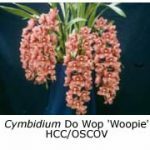 If horse manure collected in the field is used as potting mix, many ‘companion’ plants will soon keep your cymbidiums company – docks, grass, blackberries, thistles, ferns, to name just a few! To avoid this problem, I used to collect my ingredients from a stable where racehorses were trained. These horses were housed in stables or small day yards, and fed only on pre-mixed foods such as crushed grains. Unfortunately, the resultant manure also contained stable straw or wood shavings used for bedding. This mix required aging in a bin or heap for several months to promote decomposition before it was suitable as potting mix. If this step was omitted, the plants sunk down in their pots during the next few months as the straw or wood shavings decomposed. 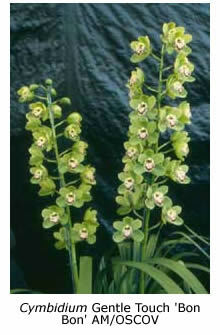 Cymbidiums planted in the above mix are usually watered with a drip system operating for half an hour every day. I used this system very successfully for twelve or thirteen years before deciding to change to bark as a potting medium, because most growers use it and generally they have fewer ‘companion’ plants than I have. 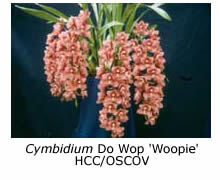 And so, two years ago I made the monumental mistake of transferring all my cymbidiums to a bark ‘mix’. I solved the weed problem and my flower problem all in one go – no weeds, and few flowers to worry about! I couldn’t even grow good roots on the plants, so after twelve months’ misery I’m back to growing my cymbidiums in horse manure again! Now I’m composting the stable mix longer (nine months) and mixing it with an equal proportion of shredded dry bracken fern. I gather dead bracken fern and put it through my garden shredder before mixing it with the horse manure. Dried tree fern fronds do the same job but break down more quickly. A further change is that I now hand water every three or four days, instead of using a drip system. Root development is fantastic and I’m now seeing flower spikes again! Using this mix, I never have to re-pot. As the mix sinks in the pot, I simply knock the plant out of its pot, put a handful or two of fresh mix in the bottom and then return the plant to its pot. To “pot on”, I simply transfer the plant and accompanying mix to a larger pot and fill in with fresh mix. The roots are undisturbed and therefore undamaged, and the plant doesn’t even realise that it has been re-potted! 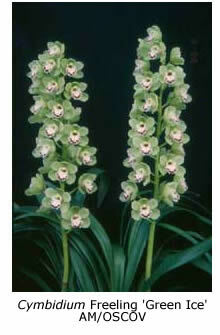 There are no setbacks when re-potting in horse manure, the magic mix for cymbidiums!